Product Consists : 1 Kg Rasgulla along with Free Roli Chawal. 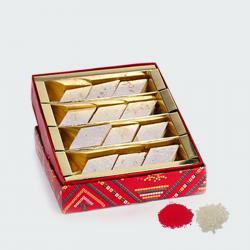 Bhai Dooj is Celebration of lovely relation between brother and sister. 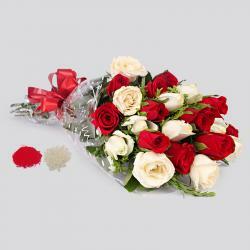 Make their day more special and memorable with this gift that is meant to touch their heart deeply. Looking for an auspicious gift to send to your dear ones. This is an amazing option. 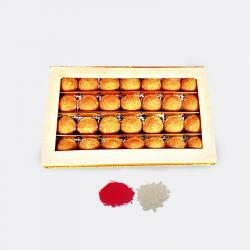 The Rasgulla that are so important for Bhai Dooj celebrations make for an ideal gift to greet loved ones with best wishes of love and light. 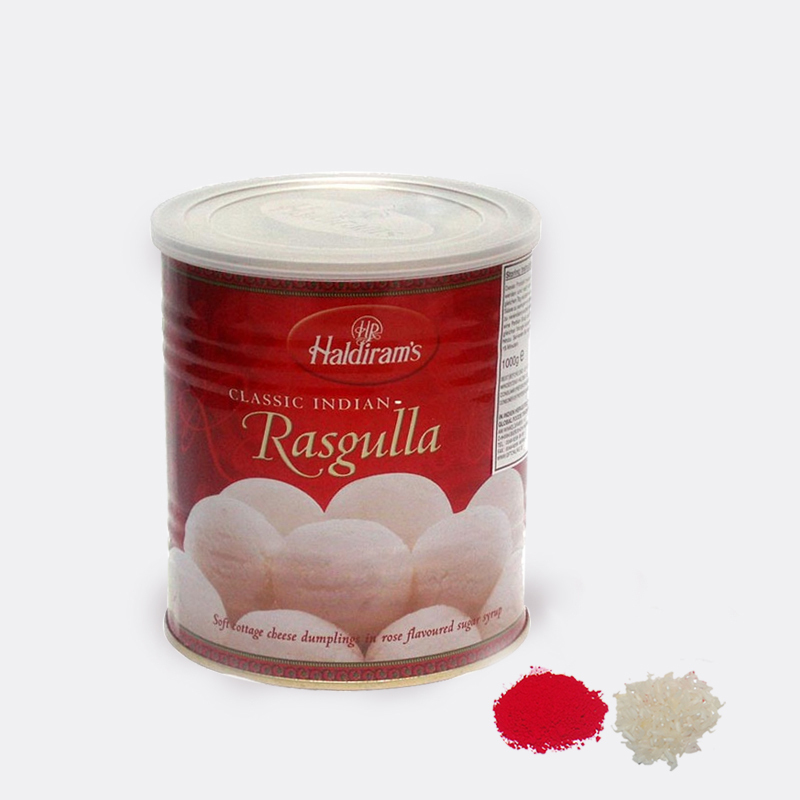 Rasgulla is a delicacy from Bengal. 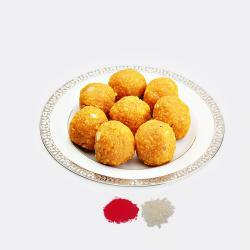 Spongy white balls are dipped in to sugary syrup that enchases the taste and creates a delightful look. Send your warm wishes with this lovely hamper on this occasion. Product Consists : 1 Kg Rasgulla along with Free Roli Chawal.